Artproof invites you to a talk with Marco Campanini, who is behind scanning negatives by Thomas Struth, Thomas Ruff and Niko Luoma. Talk will be about Digitization of analog photographic archives and will touch the following topics. 3. 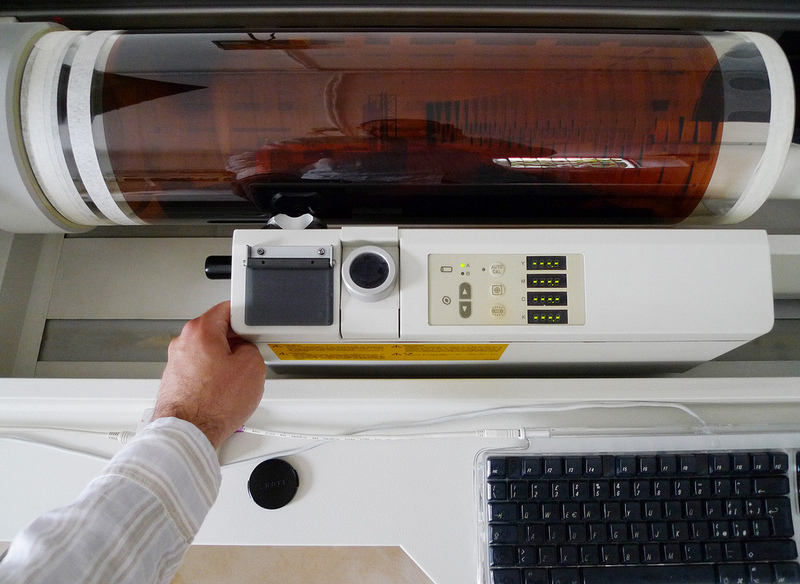 Color films: the need of hi-end photomultiplier scans for high quality output and long term archiving. The problem of image permanence with color films. 5. Hardware and techniques for long term archives and backups. Marco Campanini was born in Parma, Italy, in 1981 and he graduated in Philosophy (Aesthetics). In the past 15 years as CastorScan, service specialized in scans-digitizations and high quality fine art productions, he worked with several prominent international artists photographers, institutions, publishers, galleries, such as François Pinault’s collection, Hatje Cantz, Steidl, Pirelli Calendar, Thomas Struth, Thomas Ruff, Massimo Vitali and from Finland Niko Luoma, Riitta Päivälainen, Sanna Kannisto, Jyrki Parantainen, etc. Marco Campanini is responsible for high-end scanning in Artproof and represents Artproof in Italy and Germany.